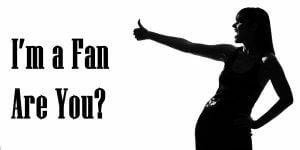 Im a Fan of Artech Nails Bar Salon... Are you? Fill in the below form and you can recommend ‘Artech Nails Bar Salon’ to a friend or family member via a text message. Show your support with a quick share of ‘Artech Nails Bar Salon’. First, Nikki is amazing!! She always takes her time to ensure that I’m relaxed and enjoying my “me” time. She is a terrific artist & meticulous in her designs. I will not go to anyone else! 🙂 Second, the owner Cathy is so incredibly sweet and goes above & beyond for her customers. She gives out gifts for the holidays, sometimes orders food for her staff & customers, & always checks in to make sure you are happy with the service. Third, when you sit down, you are always asked if you want a drink and a snack. I’ve been coming to Artech since shortly after they opened and will not go anywhere else. Everyone is so friendly, which makes it a relaxing experience. LOVE THIS PLACE!!! They go above and beyond for their clients. I love them! I have been coming to ArtTech Nails for two years. They are dedicated to giving you the best service for your nails (and even offer you a beverage). Affordable and clean! Customer service is the number 1 priority at Artech Nails Bar. Cathy and her staff go out of their way to make every customer feel like family. The ladies at Artech care about your experience. The place is always clean and everyone is friendly. I am always met with a warm hello and smile. Text reminders of my appointments. Vast amount of colors to choose from and the different processes available. They always go the extra step and it is very much appreciated. Artech is the best nail salon that I have ever been to. The salon itself is beautiful and the staff are so friendly. Cathy and Nikki are the best. Nikki always makes me look and feel beautiful. Great service, amazing staff, beautiful establishment, technicians are super helpful and knowledgeable, all around pleasant relaxing getaway, plus I always get compliments on my nails! AMAZING NAIL SALON! Will never go anywhere else. Such a kind and polite staff and are always caring about the customer. Best nail salon no doubt about it! Great customer relationships. They know how to spoil you. I am a 66 yo dude whom never thought about going into a “woman’s” nail parlor except to pick up my wife. now remember 66 I am a little old fashioned. A male friend at the local pool told me about how great his experience was and I was having more and more trouble doing my toe nails. Over the last 2 year with both knees repaired and the vision being just off at the distance I could bend to I was almost cutting blind and sometimes just that bleeding toes. Was convinced by the wife to try it out nothing to lose, except dignity I thought. Best decision of my life I have had the best treatment possible and could not have been made more comfortable with the “ladies”. The place is beautiful and the tech’s couldn’t be more professional. Nails, legs, feet, back massaged and taken care of. Well worth the price of admission. Have the wife going now. I’m hooked and don’t mind being called a snowflake if anybody should care to. Dana is the best!!! I get many many compliments on how beautiful my nails are! I highly recommend Dana and Artech Nails to all my friends!! Annie does an amazing job EVERY TIME! She’s professional and very attentive. I feel pampered in every sense of the word. Thank you for such great service! Great staff… great place! I’ve never been one to spoil myself with regular visits to a nail salon, but Annie has allowed me to relax and be pampered. I receive a warm, friendly greeting when I walk in the door and am made to feel special during my entire visit. The Salon is uniquely decorated, very clean. All of the staff are very nice and friendly. You feel relaxed and pampered from the minute you walk through the doors. The serve every one something to drink weather you want wine, water, coffee, tea, Iced coffee. I’m so glad I found Annie when my previous nail tech at another salon quit. She is the sweetest person, and the salon is a friendly place to be. Dana is the best with gel nail tips. They never lift and she takes her time with detail. Best place I have ever been to! Easy to make appointments, all the staff is so friendly. Trish is truly amazing! I get the best compliments on my nails. What a wonderful place. The employees are so nice and the atmosphere is extraordinaire!!! I loved being there. I have been to many nail shops but this is the best place that I have ever been. Always enjoy my manicure with Dana. She is so fun! And Artech salon is clean and bright. Always a pleasure! Today had a gel manicure from Trish and she is wonderful. The salon is clean, bright & relaxing. My 85 year young Mother gets her pedicure’s here every 5 weeks with Trish. Trish is so kind, caring and helpful for my Mom & me.we enjoy every visit here. Dana does a beautiful job. Very professional and very talented. Nice experience. There is never a job done short of amazing, and if there was ever a concern, there is no hesitation to make sure you are happy and well taken care of. Cathy is a wonderful and very professional person on top of being extremely talented, she should be very proud of the business she has built. Nikki is my favorite. She takes great care of my nails. This salon is wonderful. I changed salons because I was unhappy at my previous one I had been going to for 15 years. All it took was one visit and I have never regretted it. This salon is clean and everyone is friendly. I highly recommend them. There are several reasons I love Artech Nail Bar: 1. Nikki is my girl! She pays close attention to my needs and likes and does a phenomenal job on my nails and eyebrows. 2. The place is very clean which means a lot to me. 3. The staff is very friendly. Cathy and her team go above and beyond to make everyone feel welcome. The best customer service I have ever seen at a nail salon. 4. They offer coffee, tea, a glass of wine or water with fruit. 5. When you are seated for a pedicure they give you a warm towel with the scent of lavender. So nice! 6. I showed up for my appointment and twice there was a buffet of food set out for all of the staff and clients! 7. I love the matching uniforms. The staff always looks put together. I could go on and on…..
Best nail salon in the area! Great staff and service and always happy with my gel manicure! Great service and top notch work!! Friendly staff! Cathy is always so friendly and makes my nails look perfect every time! Best salon i’ve been to! I bounced around from different local salons until Trish was highly recommended. So glad I started coming to the salon over 2 years ago. They are all so friendly and professional. It’s a great relaxing environment. Trish is fantastic, love her!! I also bring my 90 year old mom ( with Dimentia) to get her nails done by Trish. Trish is so sweet to mom. She listens to moms same stories over and over. So patient and loving. This place has a great atmosphere and great employees. Dana does my nails and she is always friendly and does a great job. Cathy the owner always acknowledges you when you come in and she also sends reminders of your appointment. I love the atmosphere. Nikki is a great technician and I always receive text reminders from Cathy! Love this salon! Great environment, wonderful technicians, everyone is friendly and attentive. The salon is so modern and gorgeous and the quality of service is amazing I love getting my nails done here! The techs do quality work and really care for their cutomers with a friendly atmosphere. Cathy, the owner, works very hard to make this establishment successful. we love it here,everyone is so friendly, making us feel at home. Excellent service everytime with extra care to shoulder massage and beautiful nails. Love coming here. It’s so modern and love the quality of service. By far the best nail salon! I give Cathy the owner thumbs up! She goes out of her way to make sure you are taken care of, Annie is a sweetheart! They treat you well and pamper you ! I have recommended this salon to other’s who love coming here! I also get alot of compliments on my nails. Thank you! You are the best! Everyone goes out of their way to treat you like family. You are pampered from the time you walk in until you leave. They go out of their way to make your experience there magical and perfect! The atmosphere is so inviting and relaxing! The girls make sure you are comfortable and even give a glass of wine and a snack with pedicure!! Absolutely the best ! Best nail salon hands down. Annie and Kathy always make me feel welcomed and are so sweet making it such an enjoyable pleasurable experience. Everyone is very friendly, extremely helpful and they do beautiful work! Everyone is so sweet and make you feel special. It’s beautiful and the ladies make you feel so important! I can honestly relax when I’m getting my pedicures! The absolute best hands down and such a beautiful atmosphere! This salon has the friendliest team! They genuinely care about their clients! I’ve been to many salons that don’t care about me, and talk around me. At artech, they take a genuine interest and get to know you. They take pride in there work, and it shows. They always take care of me! And I ❤️ Trish! She goes out of her way and is never negative. She is genuinely a caring person. I go out of my way to use this salon! Most unique & caring nail salon in the area! Cathy & her staff are wonderful. Love the shop and everyone who works there! Special shout out to Trish Nguyen who has been doing my nails for years! They are absolutely amazing in every way when taking care of a customer, they go above & beyond to make sure everyone is relaxed & getting an amazing treatment while being there. I went here while my nail tech that ive been going to for years was opening her salon in east Norriton. Absolutely loved my nails, the nail tech, and the atmosphere! Doesnt compare to any of the nail salons in the area. Very professional staff and owners. Clean also. Always a great experience and all the staff are very friendly and pleasant. Cathy and Annie always take great care of my mom and myself. They really go out of their way to make your experience fabulous!! Beautiful salon! Everyone is so nice and you get VIP treatment every time. Nails always look beautiful!! I love this place. Most relaxing nail salon I’ve ever been to. From the moment I walked in the Salon I was met with such hospitality and the service was impeccable. Thumbs up to one of the best salon in the area! Clean and beautiful decor. Techs are friendly and do great work. Prices are competitive and I love having a glass of wine with my manicure. Great salon ladies and now the only salon I use. Very clean and beautiful place!! Way above any nail salon! Would highly recommend this place! This place is top notch, from the moment you walk in the door. The decor is beautiful, the friendly staff, and what they offer. Actually was there today and didn\’t want to leave, it was so relaxing. Love this place! So clean &a friendly. Annie is amazing! Cathy does a great job on my nails. She takes her time and makes sure you have the best experience possible! Beautiful and clean salon. This place is fantastic! They pamper each customer. The prices are fantastic! You will not be disappointed with this brand new salon. My pedicure was relaxing. My nails turned out perfectly. I can’t wait to come again. Very relaxing environment, professional staff, lots of reasonable services, clean, welcoming…worth the visit! Love this place, everyone is super nice, have never had an issues with my nails. I have been to many places in the area and found this is the best. Prices are very reasonable, decor is nice and they have great hours. They are always giving back to the customers,..specials, smiles, glass of wine or water with fresh fruit in it and if you pay with cash they give you a discount. I recommend Artech to all my friends and family! Artech has a great atmosphere. All the ladies there are so friendly and accommodating. They all do excellent work and I would not have any hesitations in recommending Artech to anyone. Nikki always does and excellent job with my nails! Awesome nail salon! Annie does a great job and I love this place! Magnificent decorating salon Experienced technicians. Great atmosphere! Loved my experience! The staff is friendly and I was pleased with all the services I got. This is my new favorite spot! Absolutely the best around. The service is impeccable. The staff is very attentive and outstanding. I have been going to Cathy the Owner for 20 years. The girls who work here are so sweet & pleasant & they feel like family. I take my daughter for mommy & her days & they make everyone who walks in the door feel special!! I talk about them all the time!! I have gone three times so far. It\’s been a wonderful experience every time! I go to Nikki. She is by far the best nail tech I have been to in the last 15 years! She takes her time and you can tell she is proud of her work, as she should be! This is a clean place with a great atmosphere! I have been coming here since February and I’m still a loyal customer! I don’t trust any other salon with my nails, specifically Annie! She does a phenomenal job and really takes her time to ensure you get exactly what you want in regards to a nail manicure, gel, acrylic or SNS nails. Love going here to get my nails done. All of the staff are very friendly and quite professional! Artech is by far the best nail salon I have visited. Their techs go out of their way to make each customer feel like family. They provide exceptional service in an atmosphere that exudes style and sophistication. From their refreshing beverages with fresh fruit to their decor their attention to details makes them stand out from their competition. Wonderful place. The owner really makes you want to keep coming back. She’s not afraid to work with all the customers and she loves what she does. Its more than just a business to her. This place makes you feel like a queen! I love the way Cathy and her employee’s treat their customers! Very friendly, clean enviroment. They care about you. Take the time to listen to what you want or give suggestions They take there time on you , some places I been to I felt rushed. Very warm people and are alot of fun! I highly recommend this place! Beautiful place, nice friendly people! I will be back for sure! @trish was awesome! Artech has the best services in the area. The staff is fantastic and are very kind! Great atmosphere! Friendly people! Love this place! Great! My friend and I went today and it was wonderful! Artech is a beautiful nail salon. High end decor, always clean, Cathy thinks of every detail to make your experience unique. Cindi does a awesome job on my nails. Her attention to detail shows on how perfect my nails are every time! Keeps me coming back! Love this place! Great people. Clean, relaxing, awesome! Awesome service!!!! Wonderful and relaxing !! Great place. I have been coming to this place since I found out about them. Five star nail salon. No wait. Great staff. Very welcoming and treat you with great respect. Not to talk about the food and drinks they offer. An amazing place to get your nails done. Everyone is super friendly and they make you feel beautiful and relaxed. The high quality services provided at Artech deserve their rating of 5! They are a family oriented salon, enhanced by the kind, caring techs and the fantastic customer service shown by the little extras that they offer during your visit. A nice cold glass of fruit infused water, coffee or wine and a great 5 minute chair massage!! Prices are competitive for the area with the opportunity to splurge on extra services for that special occasion! ! This place is great. The service is wonderful. Everyone is so nice. They do an excellent job! Love this place! Clean and everyone is super friendly! Plus prices are great! I followed Trish over to Artech Nails a couple months ago & I couldn\’t be happier! The service is amazing & the people who work at Artech are all so friendly & up beat. They are more than accommodating & go out of their at to make you feel spoiled while your there. I would highly recommend their salon! This salon is amazing!!!! Many services to choose from and resonably priced!! Relaxing atmosphere and the staff is so friendly and talented!! I highly recommend giving them a try. You\’ll love it!! I have the best nail tech in the world!! Cindy is simply amazing! ! Cathy and the entire staff at this salon are wonderful and welcoming! ! I will never go anywhere else! ! Artech Nail Bar is great! The salon is beautiful and clean, and staff are friendly and attentive. Beautiful salon. A very relaxing environment. Friendly service. Much attention is given to cleanliness. 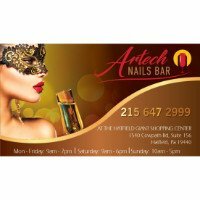 Artech Nails Bar Salon is a lovely new, clean establishment with a warm, welcoming staff that go out of their way to make your visit a special, relaxing experience. They have all the newest techniques and their staff is experienced. Amazing customer service . Friendly , attentive and wonderful creativity . Clean and very relaxing . You feel like you walked into a little peace of heaven . Everything about this shop is first class!! The people working there are super friendly and talented! The spa pedicures are to die for! Love my favorite nail girl Trish Nguyen! This salon was a new discovery in January 2017. The service was amazing! The warm lavender towel, soft music, shoulder back massage, drink of your choice wine, coffee, fruit water all make you feel so pampered and relaxed. My gel manicures have last 3 1/2-4 weeks. The quality and prep they do for your toes and nails shine long after your visit. This is a wonderful place to keep returning to. Everything about Artech is amazing! From the atmosphere to the wonderful extra touches they do to make your experience the best. Everyone is so friendly and accommodating. I love it there and won\’t go anywhere else! One visit and you willl be hooked! Walk threw the doors and you feel as though you were in Manhattan. Cathy has put together an awesome team of professionals. They are at your beck and call from the moment you arrive and throughout your visit. I must mention a particular salon technician. It is Cindy…a true artiist at her craft and very talented. Amazing! Love this place!!!! Fantastic Nail/Spa! Such a beautiful & relaxing place! The owner Kathy is very nice!! The staff is very friendly & experienced! If looking for experienced nail techs this is definitely the place to go!! Artech is the nicest and cleanest salon in this area. The staff is amazing and their services are the best around.